Last weekend (February 28-March 2) the keeners of the Red Deer Nordic ski team packed their back country ski gear, got into two cars, and headed out on an adventure. After being on the road for a couple hours we stopped driving, unloaded our gear, and stayed overnight at Rampart Hostel. We made our beds and then Kelly helped us fit our backpacks so we wouldn’t have to do it the following day outside in the cold. Rampart was a fantastic hostel to stay at and was equipped with a sauna/creek dip. We might have taken advantage of this if the temperature outside wasn’t in the low negatives. In the morning we woke up and had eggs, sausages and toast for breakfast before filling up water bottles and getting in the car. Once we arrived at the Edith Cavell parking lot we applied wax and started the 12 km climb up the mountain which took us about three and a half hours. It was very sunny and a little cold but overall good conditions. When we reached the hut at about 4:00 PM, we started a fire and changed into dry clothes. The kitchen was in a smaller hut separate from the one we slept in and it heated up quickly. We soon realized one of the windows in the hut we slept in was open and that is why the rest of the hut wasn’t heating up so we closed it. We then ate butter chicken that Kelly had organized for dinner and it was really yummy after such a slog up the mountain. The kids did the dishes after dinner. Everyone was pretty tired and went to bed early, but once in a while someone would have to get up to put more wood in the fire. In the morning we packed up our backpacks and some of us ate lunch in the warm kitchen while the adults went another 2 km up the trail to see the lake. Once they return we started back down the trail towards the parking lot. It was cold going down the hill with the wind so we layered up well. Descending the mountain took our group about 45 minutes to a hour. When we got to the parking lot the cars weren’t starting so we had to wait a little till someone drove by so we could boost the cars. We all got our stuff in the cars and headed back to Red Deer. 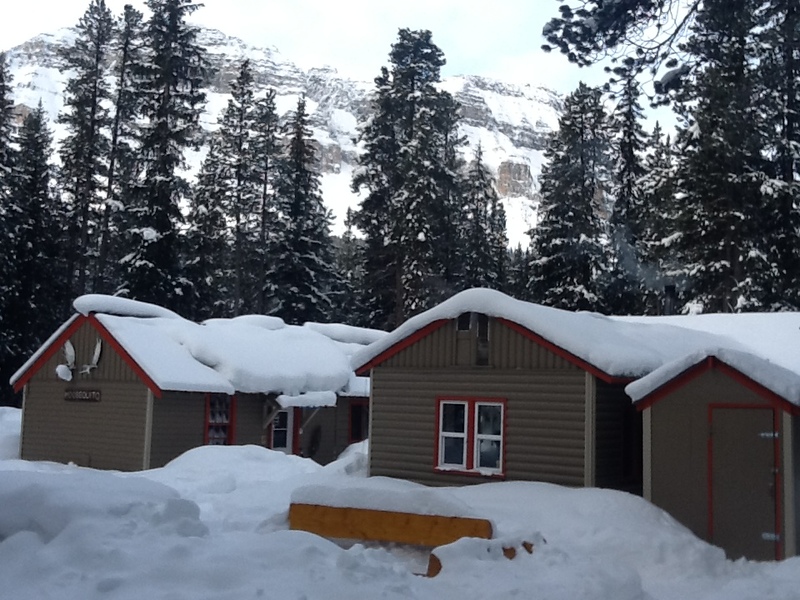 This entry was posted in Jasper National Park, Mountain Tours, Red Deer Nordic on 2014/03/29 by parkland.